This little guide will explain to you how to extract images from PDF with our powerful utility ByteScout PDF Multitool freeware. Perhaps, you don’t even need this tutorial as you have already worked with similar PDF to image converters. Most of our free tools are really easy to understand and work with. However, if you never tried something like this before, we assure you that it will be a lot of fun. To export images from PDF with less time and effort we suggest you look through this tiny guide. This great utility can be used in multiple industries: POS, banking, automation, insurance, healthcare, and others. I bet, image extractors are useful for any daily task. Take a look at how to extract text from PDF that we explained in the previous tutorial about PDF Multitool. Hopefully, it is helpful and easily implemented. 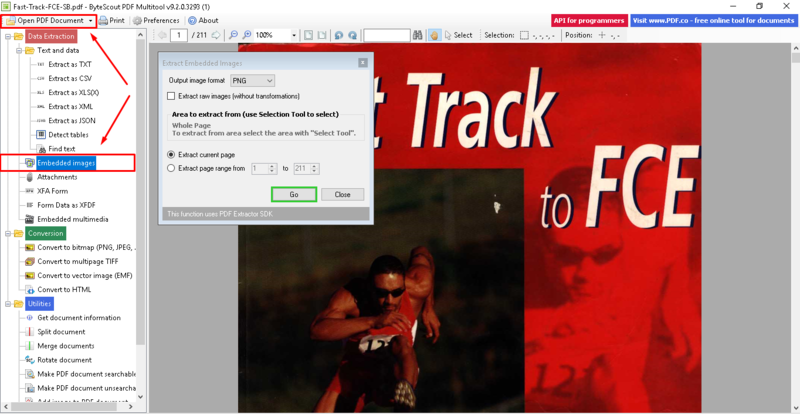 To get additional PDF capacities, you will now learn how to extract all images from PDF in only a few clicks. So, the thing to start with is PDF Multitool Download and Install. Our short guidelines throughout this process will lead you all the way until this PDF image and text extractor is on your desktop. Once done, you can check the utility and make sure it includes all the functions as specified. The program interface might seem tricky but only at the beginning. When you start using the tool, everything becomes magically easy and smooth with every try. In the top left corner you will find ‘Open PDF Document’ button -> click on it! Choose any file you urgently need to work with. Otherwise, use our Selection Tool to specify the area you’d like to export. When you are done with all the settings, you can definitely press the ‘Go’ button and you will get your need image(s) in the selected folder. 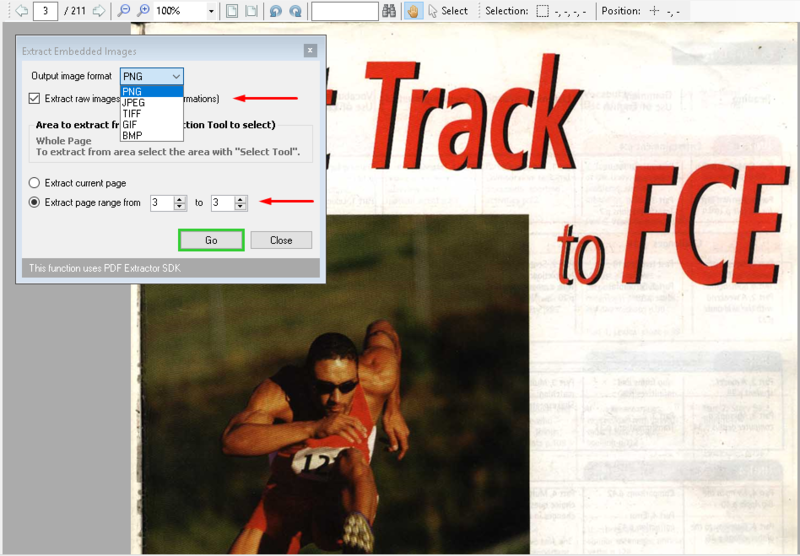 To extract original images from PDF you just need a few minutes of time to read this tutorial and to run the free utility. Now you have your neat output result that may be used for further needs. Enjoy the high-quality images and try our other functions. Hopefully, it was helpful and comprehensive and now, you can extract PDF pages as images any time and anywhere.